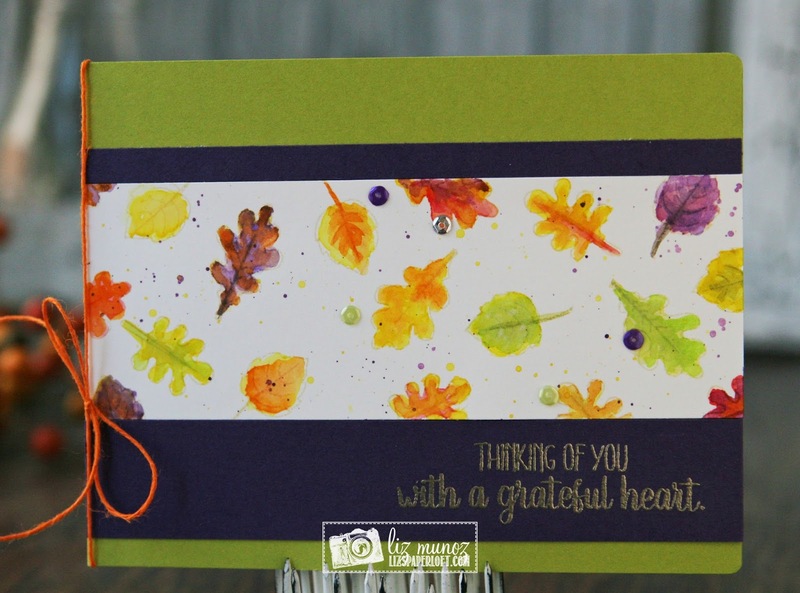 Liz's Paper Loft: MCT August Release Sneak Peek Day 2 ~ thinking of you! MCT August Release Sneak Peek Day 2 ~ thinking of you! Welcome to Day 2 of My Creative Time August Sneak Peek! So what did you think of yesterday's sneak peek? Fabulous right! Well today is going to blow your socks off! Today we are featuring Gobble Gobble stamp and die set...oh, it's just wonderful! Again, I did some watercoloring, however I used 1st generation stamping on this card and distress ink to watercolor. Liz this is a very sweet, soft and lovely card! 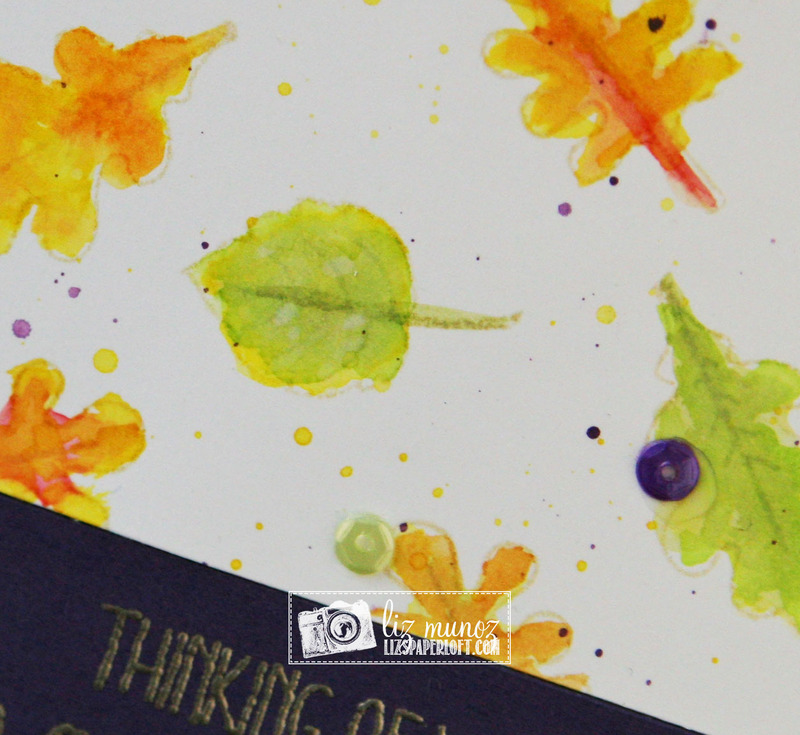 Love the embossing... it really pops off the card front ... and the leaves are so pretty! Thanks for sharing! Cute card ! Love the watercolor fall leaves!! Absolutely gorgeous, Liz! I just love how you did the leaves! Your water coloring is beautiful!! Awesome Job!! This is beautiful! I love how you colored it!! I loVe your beautiful leaves. Thanks for sharing your wonderful card. What a treasure this card will be to someone! Love your watercoloring. This set looks like the perfect next set to add to my stash. The leaves on this card are so very pretty. Beautiful card. 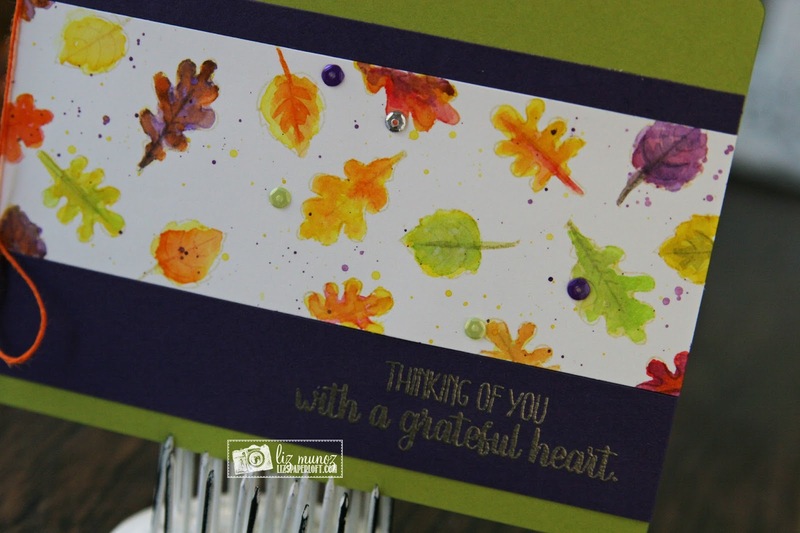 Pretty Fall card - love the leaf stamps! That is a gorgeous card. Love the fall colors. Thanks for sharing your awesome ideas this week. Your watercolor leaves are so fun and pretty. Awesome project. Lovely fall leaves colors....so pretty. Beautiful! Love the water color leaves so fun! Beautiful--I like the watercolored leaves. Love how you made the panel on the card. Ms Liz, what a beautiful card, love the water coloring. Great job! Your watercolour leaves are absolutely stunning! What a beautiful autumn card. I love how simple your card is and the leaves are beautiful. I will be giving this technique a try with the new pretty leaves. Wonderful job. This is just gorgeous, Liz! I love it!!! This is so beautiful Liz! Love the watercoloring! Beautiful colors and wonderful design!